Vice President Yemi Osinbajo with the Minister of Petroleum Ibe Kachukwu and Bashir Fakorede, Owner of Oando by Elegushi. 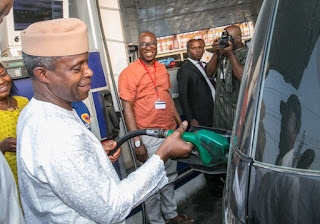 The Muhammadu Buhari administration is doing everything possible to quickly resolve the fuel shortages experienced by Nigerians, Vice President Yemi Osinbajo, has said. 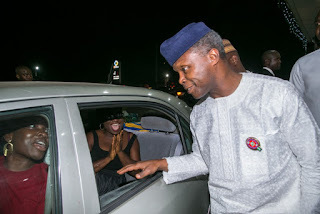 Mr. Osinbajo, a professor, said this during an unexpected stopover at Oando Filling Station at Lekki area of Lagos State on Christmas Eve. He also stopped at Hayden Petrol Station, also on the Island, a statement by spokesperson, Laolu Akande, said. 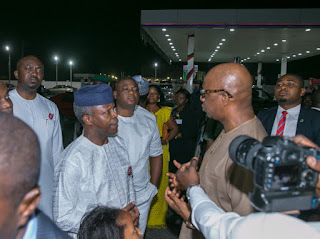 In a chat with Nigerians on long fuel queues during the stopover, the Vice President said the Federal Government was moving as quickly as it could to solve the fuel crisis and reduce the difficulties Nigerians were facing as a result,” the statement said. 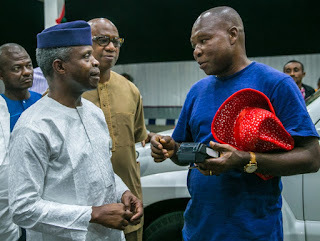 He reportedly said, “We are trying to move as quickly as we can. 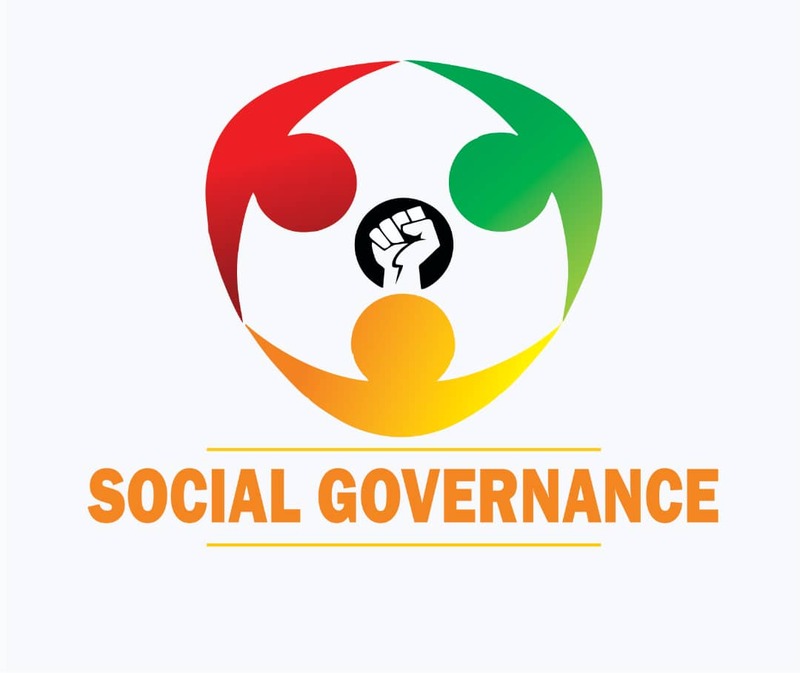 Obviously, people have gone through a lot of pain and anguish in the past few days, and that is deeply regretted. We were trying to do what we can to move as quickly as possible and there is certainly enough products to be able to solve the problem. “We will be able to solve the problem; the short period of scarcity is quite a bit of burden, but we know that so long as products are enough and the trucks coming out and feeding the stations, this will be over very soon. 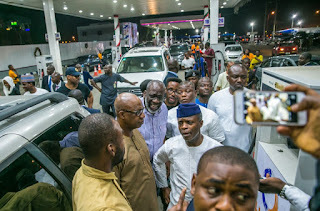 “I am going around with the honourable minister of state for petroleum resources here in Lagos to ensure that first, the trucks are being loaded from all the depots, and also looking at the filling stations to see that things are moving on very well. “It’s such a shame that Christmas has been, to some extent, with this sort of discomfort.